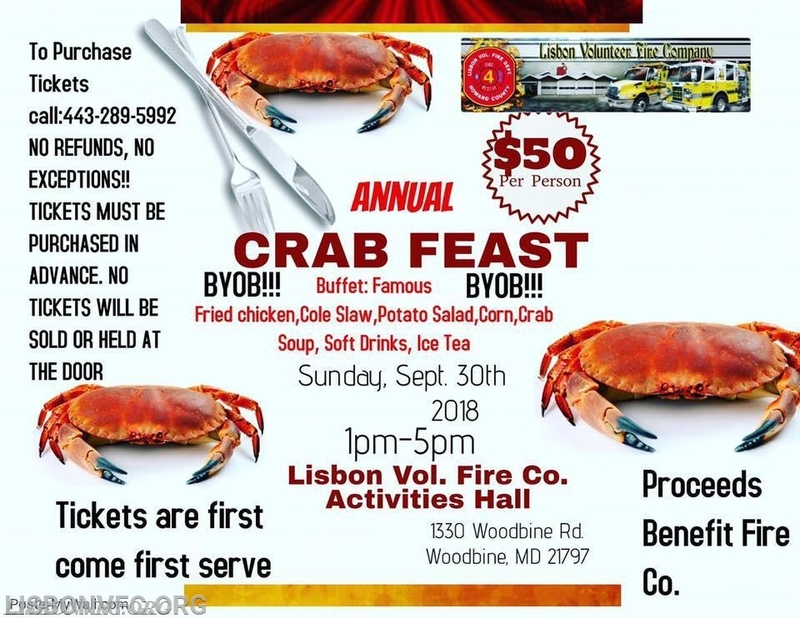 Sunday September 30th, doors open at 1:00 PM, crabs served at 1:30 PM. Menu: All you can eat Steamed Crabs, Fried Chicken, Cole Slaw, Potato Salad, Steamed Corn, and Soft Drinks. BYOB!!!! Tickets are $50 per person, Call 443 289 5992 with any questions or to reserve your tickets. 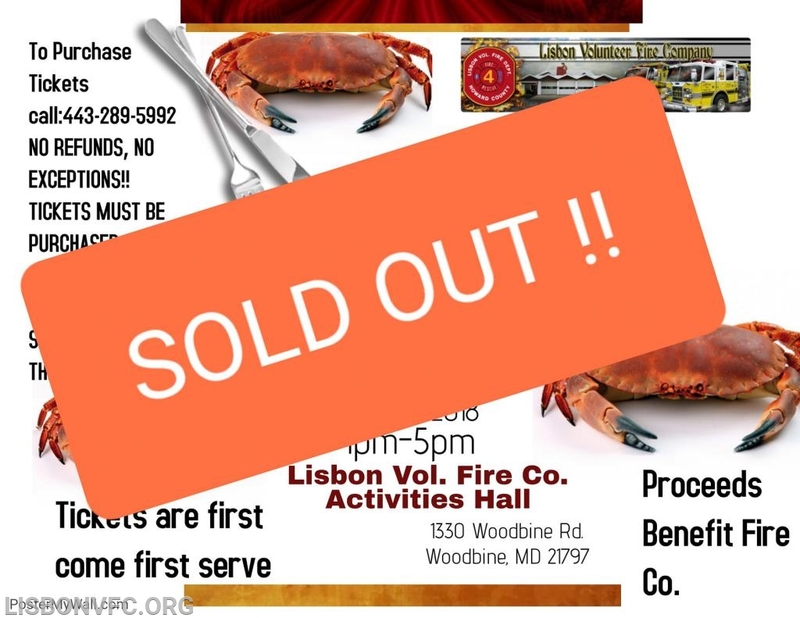 Update: As of 9/1/18 the Crab Feast is Sold Out!!!!!!!! Thank you for your support.